Check out this amazing beach in Anglesey! The Isle of Anglesey is nestled on the north-west corner of Wales, separated from the mainland by the Menai Strait. Ninety five percent of Anglesey’s 125-mile coastline has been designated an Area of Outstanding Natural Beauty, and with the peaks of Snowdonia creating the picturesque backdrop, it isn’t hard to see why. There are over 40 stunning beaches to discover, and six of these are blue flag, 14 are green flag and 26 have won seaside beach awards! 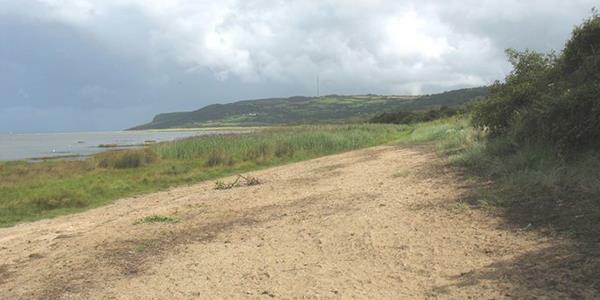 Llanddona Beach is part of the sandy stretch that forms the eastern end of Red Wharf Bay. Tucked into this natural bay on the north east of the island, the beach is located on the Anglesey Coastal Path. It is a good one for swimming, windsurfing and walks; from here you can wander to Penmon Priory and Holy Well. There are good facilities on Llanddona too, and it is close to the town of Beaumaris where you can stop to grab something to eat. From Llanddona beach you have the Anglesey Coastal Path to explore, and there are pathways available that lead you on a walk to the historic site of Penmon Priory. 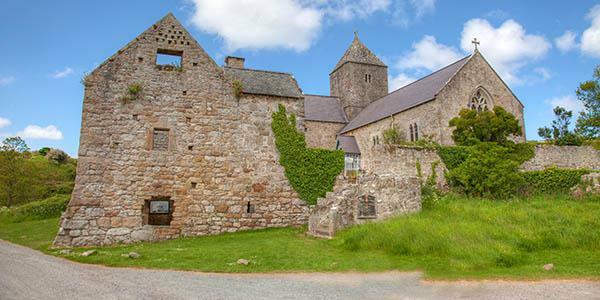 Penmon is on the opposite side of the peninsula and its famous priory is thought to date from around the 12th century. Reputedly the original priory church was built by St. Seiriol in the 6th century, but was destroyed by Vikings in 971CE and had to be re-built in its current stone much later. The site expanded over the years and two Medieval crosses (believed to be 10th-century) once marked the entrance of the priory. They are now housed in St. Seiriol’s Church which managed to survive the Dissolution of the Monastaries in 1536, though it is now just a dramatic ruin. Also on the priory’s site you will find the old dovecote which was an addition built around 1600 by the Bulkeley family, and across the other side is the ancient St. Seiriol’s Well. The Holy Well has been associated with a Penmon church since Celtic times, as was often the case, and some even believe that its lower walls were part of the original 6th century St. Seiriol’s Church. 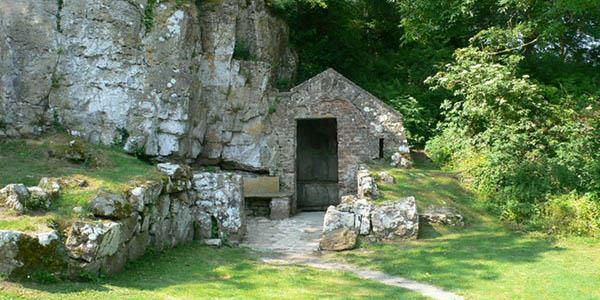 If this is true it will make the well the oldest Christian building in Wales. The well forms from a natural spring emerging from the cliff behind the church. It is surrounded by a slab floor with benches around the sides. The crystal clear waters were once thought to have healing powers.